Are you looking for some walleye ice fishing tips to help you catch these monsters of the deep? If you are, you have come to the right place. In this article, I will explain to you five proven tips that work wonders for catching walleye through the ice. We all know walleye can be a tricky fish to catch especially when you are ice fishing. So I won’t bore you with fluff lets get right into those five proven tips and get you out ice fishing for walleye while the fishing is good. If you have never heard of dead stick fishing, it’s easy to do and will help you catch those walleyes when you are ice fishing. First, you need to drill a hole next to the hole that you are fishing in. 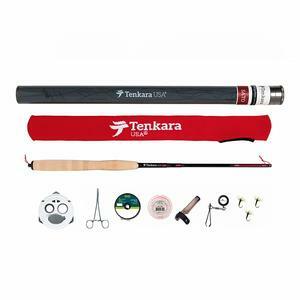 Next, you want to rig up the rod that you’re going to dead stick the walleyes with. You want to rig them up with a stick float. Here’s how you rig a dead stick. 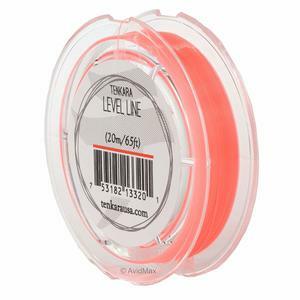 On your braided mainline, you slide a small rubber bobber stop. Next, you want to slip a dead stick float onto your braided line and tie a micro swivel #12 onto the line. 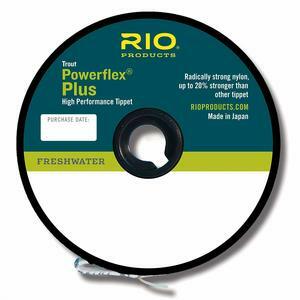 After that, you want to take an 18” fluorocarbon leader and tie it to the micro swivel on one of the ends and whatever lure you are using to the other end. 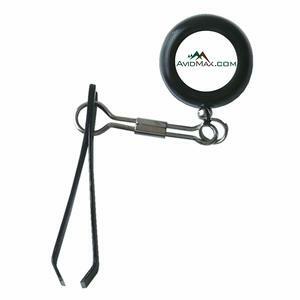 Then you want to slider your bobber stopper to the depth you want to fish at and let your lure go down the hole. 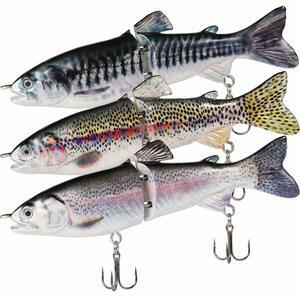 The dead stick float will slide until it hits the bobber stopper and your off and fishing. If you need to adjust the depth, you are fishing at slide the stopper to whatever the desired depth is. Not much to it. You let that dead stick rod sit there and jig aggressively with your other rod like you usually would do. The rod that you are actively fishing with will lure the walleyes in and if they don’t bit on that rod they will go for the dead stick rig set-up and hopefully bite on that one. We do this dead stick fishing method because most fish in iced over cold water will be lethargic because their metabolism slows way down and will naturally go for the bait that’s easiest for them to capture. In the mid-winter when the walleyes are being picky on the bait and lures, you use you want to find a spot on the lake that you are fishing over rock structures that are around 16 feet deep. I don’t know why it is, but walleyes will bite more often in this terrain in the dead of winter. To know the depth and the terrain that is below you will want to get yourself a fish finder. 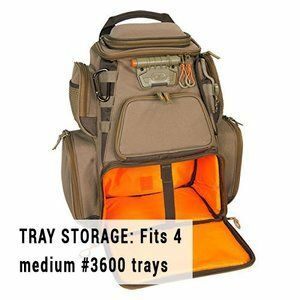 These come in real handy for ice fishing not just to know the depths and topography below the ice but to know if there are fish where your fishing as well. 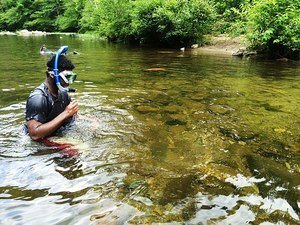 It helps to have two people when you are looking for rocky bottom areas. One person will drill the holes along a dropoff, and the other person will go behind with the fish finder and measure the depth of the water and see if there is any rock structure underneath the ice. If you do this and pick the right holes to fish, you should come up with some nice walleye. This tip is for when you are fishing in an ice shelter, and it’s a tip for whatever kind of fish you are fishing for. Your ice fishing shelter might be 5 to 6 feet in height on the inside and if you are holding your rod a foot or more above the hole that doesn’t give you enough room to set your hook effectively. 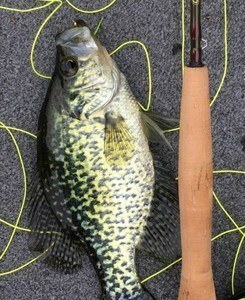 To remedy this, you will want only to hold your rod about 3 inches above the fishing hole. 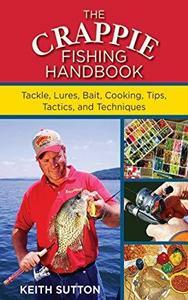 Doing this will ensure that you have enough room to hook that walleye and bring him home to the frying pan. Like most fish, the best time to catch walleye is when the sun is rising in the morning and when the sun is setting in the evening. These times of day is a fish’s natural feeding cycle. 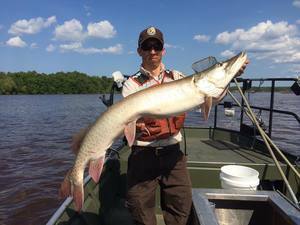 During these hours of the day the walleyes are swimming out from under the weed bed covers, and you have a more significant area that you can fish and catch walleye. 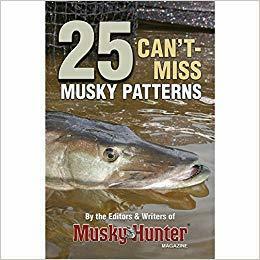 And because you can fish a wider area of water, you won’t have to drill so many holes because the walleye will be just about anywhere you can think. You will want to drill your holes ahead of time. 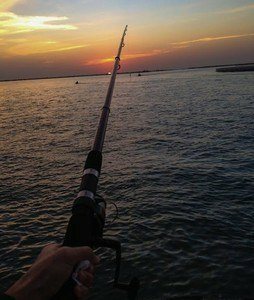 Don’t be drilling holes during the peak walleye fishing hours of sunrise and sunset because this will disrupt the natural flow of the fish. 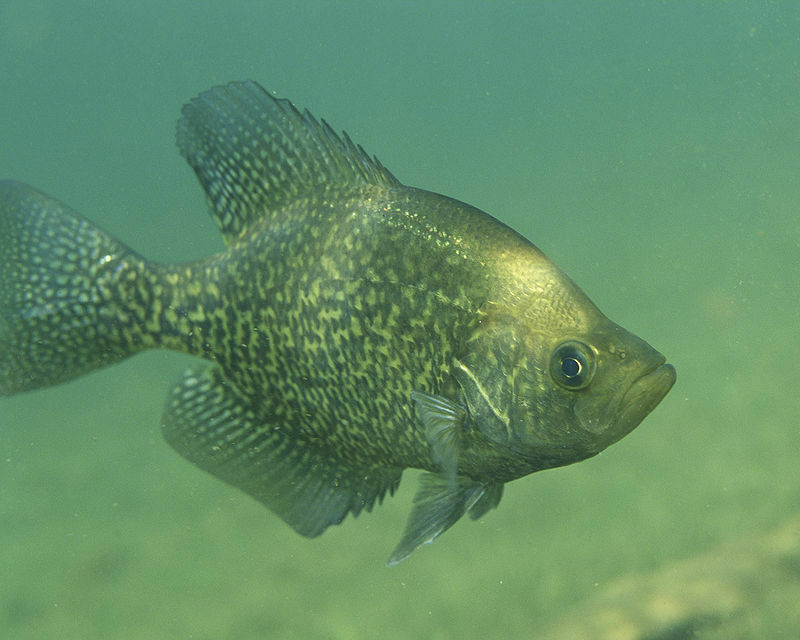 Have the holes already drilled and then do some sampling of the holes until you find a few spots that are ample with walleye and then focus on those areas during the peak time. The last tip in this walleye ice fishing tips article is to use vibration to get the walleye’s attention. To do this, you want to hit the bottom of the lake with your lure and raise the lure slowly. Doing this will stir up the mud and sediment on the bottom. 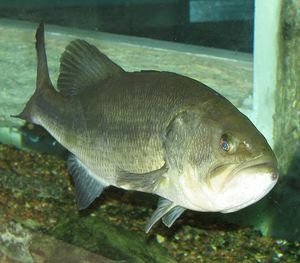 It also causes the vibration necessary to get the walleyes attention. And when stirring up the bottom sediment, your lure will be mimicking a live creature that the walleyes would be used to feeding on. You also might want to use a vibrating blade lure when you fish walleye with this method. When using a vibrating blade lure, you want to move the bait up and down about 3 feet. Make sure to keep aggressively jigging the lure. This will attract the fish in. If the walleye are active and ready to strike it will either grab your vibrating blade lure or the walleye if it is not prepared for a fight will go after your dead stick if you have one set up close by. Now that I have shown you these effective walleye ice fishing tips it’s time for you to put them to the test. We all know that walleyes can be finicky when it comes to their eating habits especially in the winter. But if you put all five of these tips to good use, you should start catching some nice healthy sized walleye. 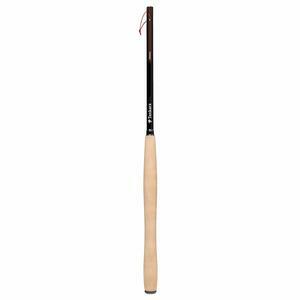 To recap when the walleyes aren’t biting start by dead stick fishing. This is where drill a hole close to the hole you are actively fishing. 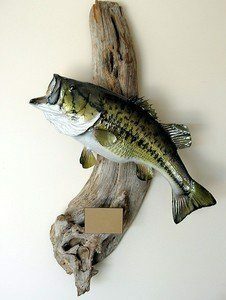 Put your dead stick fishing lure down the other hole and let it sit there. With the second tip, you will need a fish finder. Use your fish finder to look for depths of the water and what structures are beneath the ice. I recommend you get yourself a Vexilar fish finder. Vexilar fish finders work best because they give you a clear reading of what’s underneath the ice. 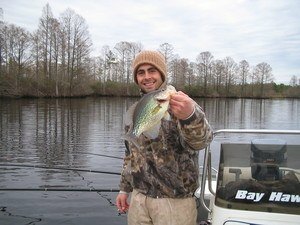 Drill a bunch of holes along a drop off and find the best spots to fish. For walleye, you want about 16 feet of depth with rock structure. The third tip is when you are fishing in an ice shelter leave plenty of room to set your hook. To do this hold your rod about two to three inches above the fishing hole. Holding your rod close will allow you enough room. Otherwise, you will be hitting the roof of your shelter when you are hooking the walleye. Peak time to catch walleye is either in the early morning hours and or late in the evening when the sun is setting. 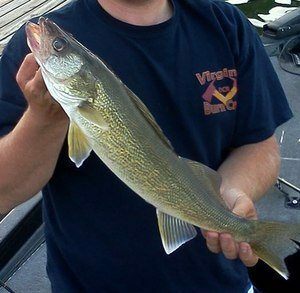 The fifth and final tip for walleye ice fishing is to use vibration to get the walleyes attention. Aggressively hit the bottom of the lake with your lure and bring it up slowly. 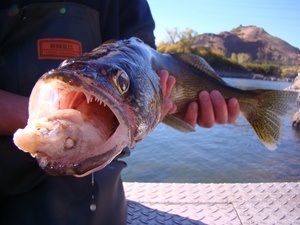 Doing this will get the walleyes attention by stirring up the bottom sediment and causing vibration through the water. 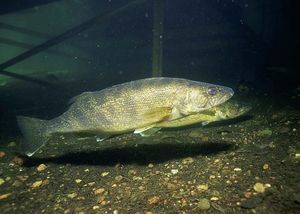 The stirring up of the sediment and the vibrations mimics the living creatures that the walleye are used to feeding on. I hope these walleye ice fishing tips help you catch more walleye. If you have any questions or comments, please leave them below. Good luck ice anglers and Happy Fishing! 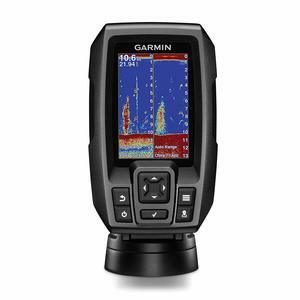 In this Garmin Striker 4 review, I will show you everything you need to know about the Garmin Striker 4 sonar fishfinder. You will be able to make an informed decision on whether or not this fish finder is right for you. 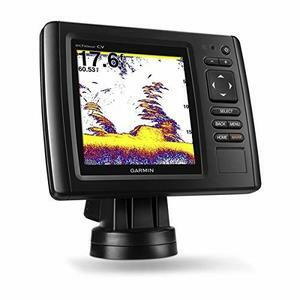 The Garmin Striker 4 is a state of the art fishfinder with realistic graphics and a high sensitivity GPS that lets you mark those spots on the lake that you are killing it with the fish so that you can go back to that fishing spot time and time again. You can also share your locations with other echo maps and striker combinations. 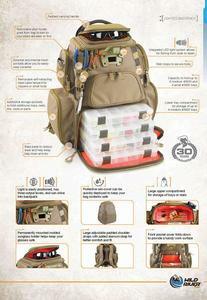 The Striker 4 has a built-in flasher and displays your speeds data. 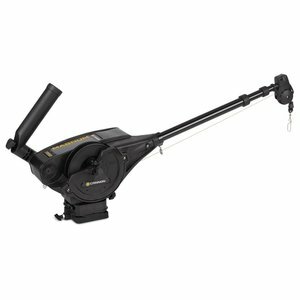 Included with this fishfinder is the CHIRP (77/200 kHz) transducer with trolling motor and transom cable and mounting hardware. 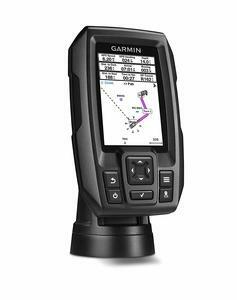 This makes the Garmin Striker 4 easily accessible. 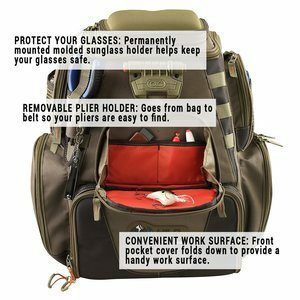 You mount it wherever is most convenient for you. 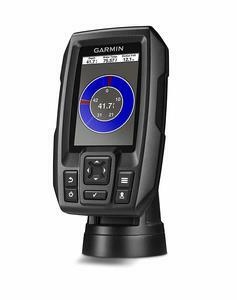 Like I said the Garmin CHIRP transducer is included in this fish finder. It is a 77/200 kHz transducer which can be mounted on the transom or the trolling motor if you have one. 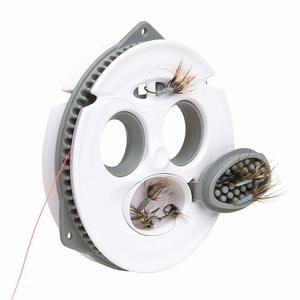 The CHIRPS clarity is superb with much higher quality visibility of the fish and surrounding structure than the traditional 77/200 kHz transducers. This is possible because the CHIRP transducer sends out a continuous array of frequencies instead of just one. 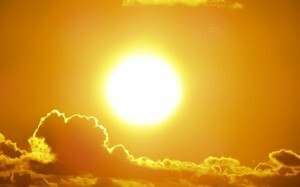 These frequencies range from high to low and are interrupted individually when they return. The CHIRP sonar technology brings in a lot of information from a broader range. 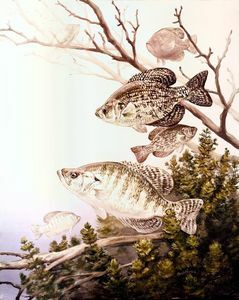 This creates more evident fish arches with a more significant target of separation. If you want even higher performance CHIRP, you can upgrade to the GT8 or GT15 transducer. These two are sold separately. They provide even clearer sonar images and a better resolution and target separation from shallow to deeper depths. The bottom contours are much clearer even with faster speeds with these upgrades. Never get lost again with the high sensitive GPS that the striker 4 fishfinder offers. It’s very accurate at letting you know where you are at and can maintain your GPS positioning anywhere you go on the lake or river. With this fishfinder you can mark where on the lake the fish are biting so you can return to that exact spot in the future. 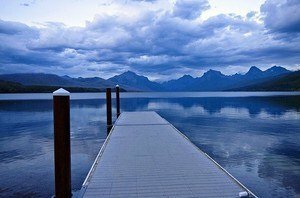 It can also mark boat ramps and docks for future reference which makes it easier finding your way out of the lake when you are done fishing. There is a path that’s created on the screen, so you follow that to where you want to go. 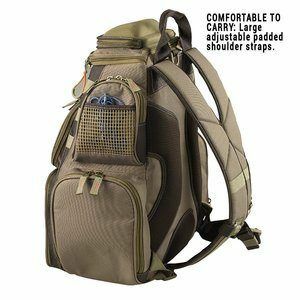 This is especially useful when you are fishing in a massive lake that you have never fished before or are fishing on one of the great lakes. Nothing is more frustrating than not being able to find your way out. 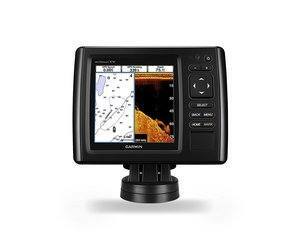 With the Striker 4 fishfinder you can know the exact speed you are going by glancing over at the screen. 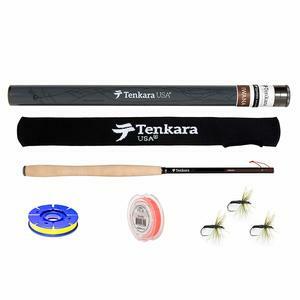 This helps when you are trolling for fish so you know exactly what speed you are at for the different kinds of lures you may be using. It is also useful in wake controlled areas where you need to know your speed so that you don’t create waves. 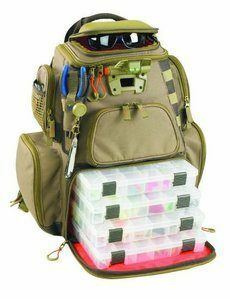 The flasher works well when you are not in the boat like fishing on shore, crappie jigging or ice fishing. The flasher shows you what the bottom of the lake is made of if it’s a muddy or a rock solid bottom. It will also show you the weight of your lure or live bait and how deep the fish are when they swim into the sonar beam. You can also see how far your bait or lure is being lifted and if the fish swim towards it or away from it. 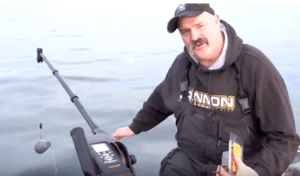 The built-in flasher is one of my favorite features of this sonar fishfinder. Mark Your Locations On The Lake such as where the fish are biting and where your loading and unloading ramps and docks are. You can also map out weed beds and rock piles. I hope I have provided you all the pertinent information that you need in this Garmin Striker 4 Review. The Striker 4 fishfinder, in my opinion, is a great buy at under $100 on Amazon. It has all the features you would want in a fishfinder and then some. 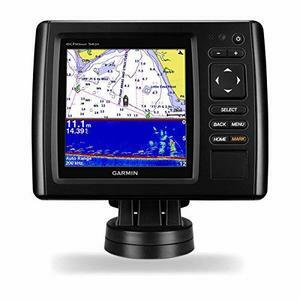 There is no secret why The Garmin Striker 4 is the number one Best Seller on Amazon in the fish finder/ depth finder category. 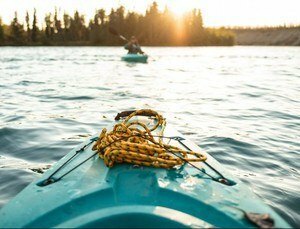 You get a GPS that lets you mark wayward point which helps get you to where you want to go and helps you mark where you have been on the lake or river. This makes it easy to get back out of the lake. What’s also helpful is it lets you mark where the fish are biting so that you won’t forget. Then you can come back time after time to the same fishing spot and pull in some big fish. It’s also a great ice fishing fishfinder with the built-in flashers that let you see what your bait is doing and how the fish are reacting to your bait. It also shows you what the bottom of the lake looks like if it’s muddy or solid. You can also control your trolling speed with this fishfinder which helps to keep you at the right speed for whatever lure you are trolling with. It also helps to keep your speed down in wake controlled areas of the lake. 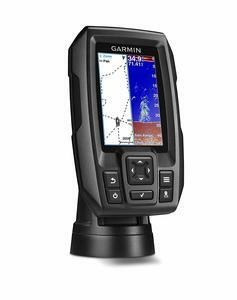 I highly recommend you purchase your own Garmin Striker 4 fishfinder. The cheapest place to buy this fishfinder is on Amazon. I know you won’t regret this purchase. If you have any questions or comments, please feel free to leave them below. Thanks for reading and Happy Fishing!